Krzysztof Kieslowski, one of the most influential and prominent Polish directors, was born in 1941 in Warsaw. After finishing Łódź Film School, Kieslowski started his director career by filming documentary and television films. Developing a specific style, by which he was later recognized, Kieslowski's interests in the beginning were the themes of everyday lives in communist Poland and ordinary people’s problems. In the ‘70s he directed some outstanding documentaries such as Workers '71: Nothing About Us Without Us (1971), The Bricklayer (1973), Curriculum Vitae (1975) and Hospital (1976). They elaborate on social and moral themes of Polish society of that period, and because of this, he was confronted with censorship and disapproval by the establishment for the first time. Realism and precise film language marking his documentaries he later used also in feature films, which allowed him a greater freedom of expression and brought international success. In 1975 Kieslowski directed his first feature film Personel and was awarded at The Manheim Film Festival. The film that brought him a worldwide attention and relevant prizes was Camera Buff (1979) winning the first prize at the Moscow Film Festival. Starting with No End (1984) Kieślowski began a long-term collaboration with the trial lawyer Krzystof Piesiewicz who wrote the screenplays for all of his future films. Kieslowski confirmed the status of a great film director in 1988 with a series of ten short films, joined in a TV serial The Decalogue. Following the themes of basic human pursuit, suffering and meaning of life, each of these films is based on one of Ten Commandments. The fifth and the sixth episode of this serial, A Short Film About Killing (1988) and A Short Film About Love (1988), were extracted from the rest and made into feature films, both gaining numerous awards at the international film festivals. The success of these movies made possible for him to film outside of Poland in foreign production for the first time. The Double Life of Veronique (1991) was Kieślowski's first film produced in a French-Polish co-production, which brought him commercial success and many international prizes. His last film project and best known by wider audiences, was the trilogy Three Colors: Blue (1993), White and Red (1994). Each movie takes the symbolism of the color and speaks about a specific theme following the destinies of main characters. These three movies had won many awards of which were the most notable Silver Bear for the best director at the Berlin Film Festival, Golden Lion at the Venice Film Festival and three nominations for the Oscars in 1995. Therefore they are considered as the most successful movies by Krzystof Kieslowski. Nearly before his death, Kieslowski started working on a new film trilogy inspired by Dante’s The Divine Comedy (Heaven, Purgatory, and Hell). He died in 1996 in Warsaw, at the age of 54 following heart complications. We are pleased to announce that International Film and Music festival Kustendorf 2014 will take place from 18 to 23 January 2014. As in previous iterations, the competition program will present films of students and debutants. Authors of the films selected for the competition program will take part in workshops with great filmmakers and in other festival programms. Films of all genres, whose running time doesn’t exceed 45 minutes, are accepted. The deadline for submissions is 20 December 2013. Submission forms and film DVDs should be sent to: RASTA INTERNATIONAL Milorada Mitrovica 15 11 000 Belgrade Serbia Phone: +381 11 2431 505 Cell: +381 63 214 612 Due to the shorter time frame this year electronic submissions will be accepted too. 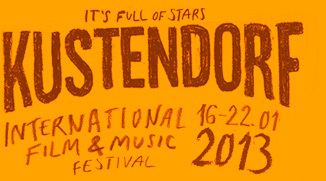 Submission forms and internet links for films should be sent to kustendorffestival@gmail.com before the specified deadline. Application form download here. 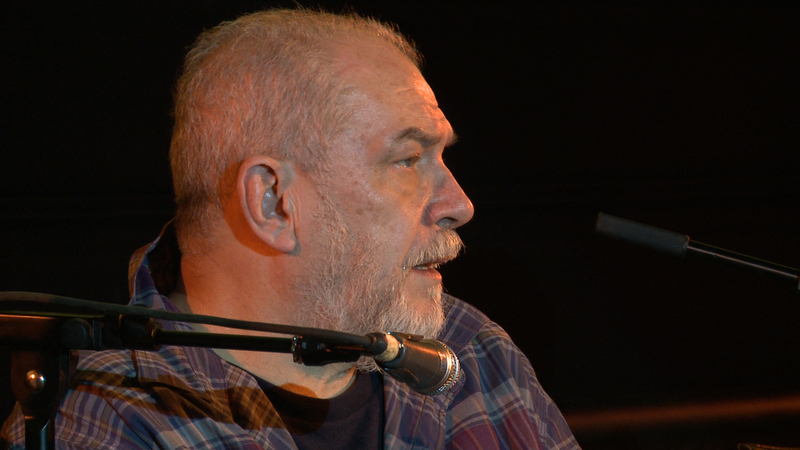 Famed Russian director, Aleksei Balabanov, passed away in Solnechnoe, a village not far from St. Petersburg. According to the Russian media, the cause of death was a heart attack. Even though he was transported to a hospital, doctors were unable to save his life. Aleksei Oktyabrinovich Balabanov was born in 1959 in Sverdlovsk, now Yekaterinburg. He completed his translational studies at the Gorky Institute in Nizhny Novgorod. While serving in the Soviet army, he traveled to Africa and Asia and participated in warfare in Afghanistan. He went on to study film directing and screenwriting in Moscow and worked as an assistant at a film studio in Sverdlovsk. He made his first short film in the Urals in 1985, having written the script in one night. He will be remembered by movies such as Brother, Of Freaks and Men, and War, as well as by his collaboration with actor Sergei Bodrov. He filmed Morphine based on his adaptation of Bulgakov’s prose. His last movie, Me Too, dealt with the question of leaving life on earth through a metaphorical story in a mystical tower that people visit hoping to find salvation. Apart from their artistic value, his movies are powerful accounts of the early, chaotic years of post-Soviet Russia. He was a guest of Kustendorf 2013, where he held a workshop with guests of the festival in which he spoke about work on his most recent film. He planned to make a movie with Emir Kusturica about Stalin’s youth. Aleksei Balabanov made sixteen movies and wrote the scripts for most of them himself. He is survived by his wife, Nadezhda Vasilyeva, a costume designer, and their two sons. The closing ceremony of the Kustendorf International Film and Music Festival 2013 began with a performance by the Kopaonik Cultural and Artistic Society from Leposavic, whose stage performance, folk costumes, and combination of song and dance thrilled the audience that greeted them with a big applause. As a special surprise of the night of the Kustendorf closing ceremony, Russian artist and director Boris Kazakov’s short animated movie, Koly (Stakes), was screened. The animation in the movie was done using nails and 35 mm tape, making this the only movie created with old technology. The official part of the programme began with the presentation of specially designed diplomas that, as a memento from their time at Kustendorf, were given to all the student participants in the Competition Programme. The host of the evening, Dunja Kusturica, invited the founder of the festival, Emir Kusturica to award the diplomas to the students. While the students got on stage taking pictures and greeting Kusturica, the atmosphere in the audience was warming up. The jury members then took the stage – Israeli author and actress Alona Kimhi (the president of the jury), Serbian media and film theorist and TV director Oleg Jeknić, and American producer, production director and assistant director Michael Hausman, who wore Serbian national dress for the occasion – as well as the jury for Vilko Filač Award for Best Cinematography – famed Czech cinematographer Martin Šec and noted Serbian editor and sound engineer, Svetolik Mića Zajc. Svetolik Mića Zajc spoke to the audience on behalf on the Vilko Filac Award for Best Cinematography, explaining that this award is proudly named Vilko Filac in honor of Emir Kusturica’s long time collaborator and that it is a great responsibility and honor to be in the jury, adding: - The most visible part of the film is cinematography. Storytelling by picture is a base of film that can improve and enforce emotions and support general idea. Cinematographer can use light, camera movement and framing to express his own interpretation and help director to achieve his goal. Among the movies in the Competition Programme, the most prominent work was done by Carlos Correa in the Mexican movie Don Sabas, who is the recipient of the Vilko Filac Award for Best Cinematography for 2013. President of the jury, famed Israeli actress and author Alona Kimhi, was then greeted with a thunderous applause and delivered the justifications for the winning films before announcing the winners explaining: - It is being said that in filmmaking many mistakes are made, however, the audience would know in the dark theater weather it has found the gems among the stones. We have been paying attention to three major values: authenticity, originality and creativity. The movies we have chosen best met these goals as well as high technical level, the personal style of the filmmaker and the maturity of their stories. The films we have chosen are solidly structured, emotionally rich and well produced. Third Place of Kustendorf 2013 – The Bronze Egg went to Israeli director Yaniv Linton’s Tateh. Second Place, the Silver Egg was given to the Danish movie Barvalo directed by Rasmus Kloster Bro. The winner of the festival in a competition for 28 movies is the Swiss film Stammering Love, by Jan Czarlewski. The winner of the festival Jan Czarlewski∫, thanked the jury, organizers of the festival, and people, not hiding his excitement adding that this was an incredible weekend and that he is speechless. The Kustendorf International Film and Music Festival 2013 was closed by its founder, Emir Kusturica, who said that he hopes that everyone will fight for compromise between auteur and commercial film again at the same time next time. The festival awards – the Golden, Silver, and Bronze eggs – were done by painter Bisenije Terschenko, while the Vilko Filac Award and the diplomas were done by Radenka Jungic and Radinost R from Banja Luka. The Kustendorf 2013 closing ceremony was directed by the young theatre director, Milan Nesković. workshop with Peter Gothar On the last day of this year’s Kustendorf, Peter Gothar’s movie Time Stands Still was screened. Following the showing, the director held a workshop. Emir Kusturica opened the workshop adding that the movie that was just played is one of his favorites from a time when he was just entering the world of film. Kusturica also presented Gothar a restored digital copy of the movie and reminded him of a time when people came to festivals with several heavy suitcases containing film reels. Peter Gothar spoke about the visual style from his 1982 movie. The Hungarian filmmaker explained that that style was created by studying photographs of people from the 1960s era during which the film is set. Gothar also noted that he came to the discovery that that was the moment in which he had to use numerous neon lights through conversations with people who remember the time. These are the roots of this distinct visual element that was largely responsible for setting the atmosphere. The conversation also discussed the attitude of the communist censorships toward this movie. The director explained that this movie was classified as historical and that bureaucrats knew that the main character was a high school student, but that they were not sure what the final product would be like. Gothar also said that the Award of the Youth that the film received in Cannes in 1982 did not affect his career in a way that it would today. Being from a country that was behind the Iron Curtain, he could not travel a lot and Hungarian government was afraid that his next film would be too pro-West. The meaningful award did not enable the young director to shoot his next movie easily then. The director also spoke about the relationship between reality and fiction, stating that the stories are mainly a compilation of true stories that happened to his compatriot friends at the time. Still, he remarked that the visual and musical aspect as well as the historical period that the movie portrays is more important that the story. Gothar explained that he mainly searched for actors for this movie in schools and on streets, and did not use professional, trained actors for the lead roles. He also added that he and his colleagues had very limited access to world cinematography so his film literature was mainly comprised of older Russian movies and some Francois Truffaut movies. Peter Gothar also received a special Kustendorf award – AWARD FOR LIFETIME ACHIEVEMENT– that was presented to him by Emir Kusturica. On the final day of Kustendorf 2013, the creator and director of the festival, Emir Kusturica, “ironed out” and “disentangled” complicated and intertwined international relations, and thus brought a message of peace in the name of the authors, guests and participants in the program who came to the festival from all corners of the world. In front of a gathering of journalists and visitors, Kusturica performed an act in which he stood high up in the air on a crane and untangled international flags that had been tangled by the wind at the entrance to the village. workshop with Michael Hausman Famous American film producer, production manager and assistant director Michael Hausman, who produced some of the most influential films that have marked the last decades of the 20th century and the beginning of 21st century, held a workshop on the last day of the festival. Although the young film authors were a little tired of “moving pictures” and events, they were not holding back their excitement to have the chance to hear one of the most successful producers who was also a member of the jury of Kustendorf 2013. Thanks to the welcome and the applause, Hausman said that he is very happy to be at the festival, adding that he is glad that he had the chance to see many great debut films. Before the beginning of the workshop, Hausman wished to show a some of his film projects that formed and keep forming his career, by showing a film collage he titled A Life in Film. Describing his career as a mix of big and small films, Hausman explained that before his work in the film industry he worked as a stockbroker and that thanks to that job he managed to understand the meaning of money. During the 1970s he began his collaboration and friendship with Milos Forman. Hausman stated that in his business, it is rare to find a collaboration that has lasted 40 years, because in most cases the director and the producer tend to quarrel after 15 minutes. Speaking about his work as a producer, Hausman emphasized that it is only because he understands money and film that he managed to control finances and with that enabled the directors to finish their projects. He explained to young authors that they should view producers as their friends, people who lead, protect and help them, and that it is important for every author to meet and work with quality people. Hausman added that the producer is in actuality “the little bird on your shoulder whispering in your ear” what to do. Hausman then described in great detail about his work in certain films such as Gangs of New York directed by Martin Scorsese and Goya's Ghosts by Milos Forman. With these specific examples, he explained that the Studio does not necessarily have to be a enemies of the film, and that it is much easier when the director and the producer observe that relationship as something that will help them when the project reaches a crisis point. At the end of the workshop, Hausman advised the audience about the importance of working on other people's stories and screenplays, adding that the work with «other's» material is an excellent practice for everyone. He did however warn young authors against doing remakes of other people's films. With a spirited remark that he is waiting for the call from some of the workshop's attendees, Hausman concluded the workshop by the showing of a short clip from the 25th Columbia University Film Festival in which he played the main role. After numerous reports in domestic and foreign press, television and internet broadcasts, a special reporter and partner of Kustendorf informed us about an unexpected popularity of the official publication of the festival. Catalogue which features information about films, participants and the programme of Kustendorf festival appeared on sale at the famous Kalenić market in Belgrade. You can look for your own copy at one of Serbian street markets. workshop with Elia Suleiman Palestinian film director Elia Suleiman, author of one of the short films that form the omnibus 7 Days In Havana, held a workshop for the participants of the Competition programme and other students following the projection of his film.At the beginning of the workshop there was a discussions about the form of the omnibus, with an attempt to define the reach, potential benefits, and also to bring attention to some of the shortcomings of this consolidating approach to film. The director Suleiman admitted that he gladly make short films, mentioning several reasons why producers request them from him. He said that shorts are the films created in periods between shooting feature films, as a chance for a director to keep working at his craft in a relaxed setting free of demands and pressures. Also, in his own words, short films are “dress rehearsals”, a great chance to try some ideas and methods in practice, before he decides to use them in his feature films. Suleiman then enthusiastically began the adventure of explaining the genesis of delicate humor spotted in the film by the students. He said that humor is never the consequence of an artistic strategy, but a thing that is humanly inherent. According to him, the most important thing for humor is choosing the right moment. Suleiman tried to analyze in detail his humoristic approach to creation of that right moment. In that analysis, he spoke about repetition and anticipation of repetition, as well as a tiny, barely noticeable change of detail as tools to use in order to bring forth the moment for presenting the point. Suleiman described humor, with help with methods of expression that belong to the absurd and the burlesque, as the greatest possible pleasure and challenge. He placed this form of humor against the construction of the narrative. Narrative for him is a question of continuity, and humor is the thing that breaks continuity in the same way that laughter creates a hole in the passing of time. Suleiman spoke about humor as a medium of political action, a reason that always cancels out manifestation of rules. Together with Suleiman, the workshop was also attended by Emir Kusturica who played a lead role in one of the films in the omnibus Seven Days in Havana. Kusturica described the omnibus as a result of a work put in by people that were gathered around an idea, which in the end made no one in that group sure what the idea actually is. He analyzed some of the elements from Suleiman's story from the omnibus, the film Diary of a Beginner, but also his earlier film The Time That Remains. Kusturica dubbed Suleiman a spiritual descendant of the great Jacques Tati, explaining that film must surpass spontaneity in order to truly become a work of art. At the end of the workshop, Suleiman said that he does not create films with a mission or a concrete idea concerning social engagements, but because he hopes that he will make the microcosms that forms his audience more festive and happier. Renowned Hungarian director Péter Gothár arrived in the afternoon on the sixth day of Kustendorf International Film and Music Festival 2013. The day before the Closing ceremony of the festival, a restored copy of Gothár's 1982 film Time Stands Still will be screened as part of the EVERGREEN program. Following the screening, the students and visitors of the festival will have a chance to ask the famous director questions about this film, as well as to hear his thoughts on his entire opus. An educational workshop ARRI ALEXA was held on the sixth day of Kustendorf International Film and Music Festival 2013. Guests and students attending the festival attended a presentation of the ALEXA camera which features an anamorphic lens. At the beginning of the workshop, the representative of ARRI, Milan Kršljanin, thanked in the name of companies ARRI and Visual Impact (Serbia), as well as the partners of Living Pictures (Serbia) company, for the chance to present the digital camera ALEXA for the second time at Kustendorf. Introducing themselves with the capabilities and uses of ALEXA camera, attendants of the workshop watched numerous clips from commercials, music videos, television series and trailers that were filmed using the camera including the film Skyfall which used eleven ALEXA cameras, film Zero Dark Thirty directed by Catherine Bigelow, and the film Life of Pi by Ang Lee. Renowned for its unmatched and truly cinematic picture quality, film-like ease of operation and reliability, as well as the most straightforward postproduction, the ALEXA camera system has quickly become accepted by directors, cinematographers and producers as their “best friend on the set and in post.” At the end of the workshop, the students got a chance to see and test ALEXA anamorphic camera and lenses. workshop with Yeşim Ustaoğlu Fifth feature film of the Turkish director Yeşim Ustaoğlu Araf - Somewhere in Between was shown on the fifth day of this year’s Kustendorf festival. During the workshop following the screening, the director described her work method, common problems she faced during the making of her last film, her theoretical perspective, and the reception of the film in Turkish society. Questions that were asked by the attendants of the workshop were mostly concerning specific scenes from the film Araf. The students were interested in the way that Ustaoğlu works with actors, which she described as a long-term and intensive process that requires full dedication. According to her, improvisation comes as an additional step in the process where precise directorial instructions are crucial. In order to help her actors achieve an accurate state of the characters that they are portraying, Yeşim Ustaoğlu shot Araf in continuous, chronological order - as it was written in the script. Intensive preparations and rehearsals allowed her to shoot incredibly demanding scenes with minimal amount of retakes. Ustaoglu especially emphasized the conversation scene at the psychiatrist’s office, which she shot in a veritistic manner, in real time, as the event would have occurred if it were happening in reality. Her intention was to allow the viewers to come to their own conclusions surrounding the questions posed in the scene, in order to achieve authenticity. The role of the psychiatrist was given to a woman who is a psychiatrist by profession. The rest of the workshop, Yeşim Ustaoğlu spoke about the importance of sound in her film. She described her use of direct and ambient sounds in certain scenes, along with various effects that allowed her to create a desired atmosphere. The greatest part of the discussion was dedicated to the scriptwriting process, and as Ustaoğlu described, the atmosphere she finds herself in while writing holds a great importance to her work. Writing commonly starts with the director visiting locations where she plans to later shoot her film. She then thoroughly observes and takes note of details. In order to familiarize herself with people that she plans to write about, Yeşim Ustaoğlu spent plenty of time observing their way of life. She wrote the film Araf while living in a small, provincial town, and becoming friends with truck drivers. Ustaoğlu compared the writing of the script with psychodrama, stating that it is important for her to recreate and live events that she plans to shoot in the film, during the process of writing. Yeşim Ustaoğlu went on to describe in great detail the editing process in which she worked with three different editors. As Ustaoğlu wished to follow the shooting style of Araf, the initial version of the film was five hours in length. Even though the first version was “absolutely watchable”, bringing a new editor to the process, she managed to cut the film down to half of the original running time. According to her statement, involving a new editor brought a fresh and distanced approach to the film. Third and final version was done with editor Svetolik Mića Zajc. You’ve acted in both Hollywood movies and European productions. Can you compare the two experiences? Which do you prefer, Europe or America? The only difference is the economic difference. But when you are in front of the camera nothing changes – you act and you do your work low budget or high budget. There is no difference at all actually, you just act. The difference is just money – it means you have a bigger room, a bigger trailer. You are just more spoiled, protected. But apart from that, nothing changes. I never lived in America. I never decided to live there, to go there, to have a house in New York or Los Angeles. My life is in Europe. I love Europe and European movies. When you read a script, how do you analyze characters and the relationships between characters? What attracts you in a role? It’s not so much an analysis, actually. It’s more instinct – it’s not about the brain, it’s about the soul. When you read a script, there is something that pushes you to do it and sometimes you don’t know why. You are a world famous star who has been at numerous film festivals. How is Kustendorf different? This is my first time. It’s very charming and very interesting. It’s beautiful to have an artistic place in the middle of nowhere. To me, Emir is a multitalented person. I saw he’s a pilot because I saw him fly the helicopter yesterday, he’s an architect, he’s a businessman, but most of all, he’s an artist. 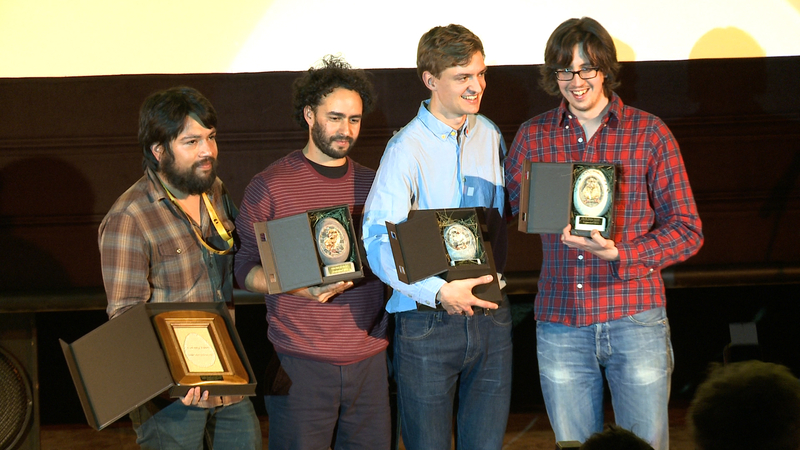 Kustendorf Awards - Golden, Silver and Broze eggs, as well as the Vilko Filač Award for Best Cinematography, accompanied by unique, embroidered diplomas, were exhibited in a custom-made glass case in restaurant “Visconti” in Mećavnik. Golden, Silver and Bronze eggs are crafted from stone decorated with filigree-intricate mosaics, and are a work of Bisenija Tereščenko. The mosaics consist of small pieces of stone with gilded, silvered and bronzed details that together form whimsical images of chicks, which appear almost lifelike when light plays on the glistening stones. Vilko Filač Award for Best Cinematography is featured in a frame made from wild cherry wood, while the award diploma frames are crafted from black walnut tree. They are a work of artist Radenka Jungić and her workshop “Radinost R” from Banja Luka. Prizes and diplomas are crafted using traditional Serbian embroidery called “pokrstica” (cross-weaving method) with thin threads in gold, silver and bronze colour. Every award represents an authentic artistic work - a trademark of Kustendorf. Their exhibition sparked the interest of students and visitors of the festival. Golden, Silver and Bronze egg, as well as the Vilko Filač Award will be presented to the best student works on the final day of the festival, during the Closing ceremony in the cinema “Damned Yard ”. workshop with Mateo Garone On the fourth day of the festival, Italian director Mateo Garone held a workshop. The greatest part of the discussions was dedicated to his new film Reality that was screened as part of the Contemporary Trends programme. At the beginning of the discussion, Garone introduced himself as a man whose films have been greatly influenced by autobiographical events. After he met his future wife during the shooting of his previous film Gomorrah, Garone, a native of Rome, was initiated into the world of southern Italy, Napoli in particular. The uniqueness of this world was best described by the director’s statement that the local street dialect spoken in Gomorrah was incomprehensible even to those from Napoli, while the language spoken by the characters in Reality is a Napoli dialect which was canonized by the poet, actor and dramatic writer Eduardo de Filipo. Garone explained that the core of his film Reality, a moving story about a man whose life is changed by his dreams of fame, is actually a true story that happened to the husband of his sister, who was convinced that the brother of his new wife, a famous director, will help him become a contestant on the reality TV show madness Big Brother. The film itself is an adaptation of the story about his brother-in- law, which Garone described as his attempt to find a relation between comedy and drama, the real and the surreal, fairytale and reality, nightmares and dreams. Garone told young directors that he always shoots his films chronologically, meaning that the scenes are filmed in the order in which they appear in the script. To him, that approach is most suitable for actors and their development of characters. The director described his film Reality as an enormously expensive film that did not do too well in the box offices of Italian cinemas. Aware that he will not be able to provide a budget of those proportions for his next films, Garrone also stated that he is not worried, as he wanted to seize the opportunity given to him after the success of his film Gomorrah. He said that the massive budget allowed the production ambitious production design ventures, scenes with hundreds of extras, and a large crew of world-class collaborators in every department, such as the composer Aleksandar Desplat and the costume designer Mauricio Milenot, who worked with Fellini. Garone listed Fellini as a great stylistic inspiration for Reality, especially the film Casanova. So far in your career you have played roles of unusual, slightly eccentric, but very striking characters such as Amelie Poulain in Amelie, Coco Chanel in Coco Before Chanel and Irene in Priceless. How do you choose your roles? For me it is a very instinctive choice - the part somehow comes in the right moment. I like parts that are unusual and present a challenge. I like characters that are not the same at the end of their story as they were at the beginning, that change and develop. I like the process and how the events enrich them. You once said that you don't dream of a Hollywood career? Is this still the case and why? Is European, French, film your “home”? I don’t dream of a Hollywood career because it comes with a life that might not be good for me. Also, it’s a huge industry and I don’t really think that I would fit into those kinds of projects. I think European movies are my home, but I like to “travel” to different cinemas. You have been at Kustendorf for two days. What are your impressions of the festival? It’s great! Kustendorf is very unique and original; it has a very rare spirit in a very authentic place. It’s great that young directors can be honored and have the opportunity to show us their work while meeting each other and having fun. It’s a very cool place and so is the area. The village is wonderful. It’s a very special festival and I am very happy to discover it. Monica Bellucci, a special guest of 6th Kustendorf International Film and Music Festival arrived to Mecavnik in the afternoon hours on the fourth festival day. The famed Italian actress is considered by many to be one of the most beautiful women in the world. Following a successful modeling career, Bellucci starred in several movies including The Apartment – a French film made in 1996 – which was her first big acting success and brought her a nomination for the Cesar Award for Most Promising Actress. She gained world fame portraying the lead role in Giuseppe Tornatore’s Italian film Malena (2000). Monica Bellucci acted in numerous films most notably, Dobermann (1997), Brotherhood of the Wolf (2001), Asterix and Obelix Meet Cleopatra (2002), Irreversible (2002), The Matrix Reloaded (2003), The Matrix Revolutions (2003), The Passion of the Christ (2004), Sheitan (2006), Shoot ‘Em Up (2007), Don’t Look Back (2009), and The Whistleblower (2010). Monica Bellucci will be a guest of Kustendorf 2013 for the next few days. workshop about Kieslowski with Oleg Jeknić The retrospective of Krzysztof Kieslowski movies was continued today with a screening of A Short Film About Killing and a workshop by Oleg Jeknić, a professor of film history and theory in Belgrade. Given that a large part of contestants and guests of the festival comes from countries outside of Europe, the start of the workshop was the right moment to introduce everyone to the Polish geopolitical position and history that have an influence on the art from that country. Jeknić named several historical moments that were, according to him, particularly important for understanding the context in which Kieslowski created movies. These events include Stalin’s death – after which many Polish filmmakers stepped onto the scene for the first time – the dictatorship of General Jaruzelski, and the subsequent flourishing of Polish cinematography during which Kieslowski’s opus came about. Jeknić described 1980’s Poland as an “Eastern European star on the rise.” Jeknić described in great detail the spirit of the times in Europe behind the Iron Curtain of the 80s, using his personal experience of growing up in socialist Yugoslavia as a starting point. He added that Kieslowski was then accepted as a filmmaker who depicts the reality of the whole of Eastern Europe. According to him, the common characteristic of that entire region is the fact that all things have to do with politics. Jeknić argued that Kieslowski’s whole film opus represents the transition from the political nature of the world in his first films to the attempt to free himself from that heritage through spirituality in his later works. Jeknić’s claim interested the participants of the workshop and sparked conversation. During the conversation, Jeknić presented participants an elementary psychological portrait of Kieslowski, some of his filmographies, and afterwards he introduced them to the theses of noted theorists who wrote and thought about his work. According to Jeknić, Kieslowski’s philosophical position can most accurately be labeled as subjectivism. In other words, he believes that the world can only be regarded subjectively, with a personal perspective, for it is impossible to be understood in its totality. That Eastern European subjectivism, according to Jeknić’s words, begins as a response to the communist regime’s attempts to introduce collectivism as a way of life. The workshop ended with a collaborative analysis of scenes from A Short Film About Killing. A Short Film About Killing began because Kieslowski developed Thou Shall Not Kill, the fifth episode of his Decalogue series that achieved cult status, into a full-length feature in 1988. The movie won numerous awards among which are the Jury Award and the FIPRESCI Award in Cannes in 1988 as well as the European Film Academy’s award for Best Film. Your movie, Beasts of the Southern Wild, that was screened last night won the Golden Camera Award at the Cannes Film Festival in 2012, the Grand Jury Prize at the Sundance Film Festival and is now nominated for an Oscar for Best Motion Picture of the Year, Best Achievement in Directing and Best Performance by an Actress in a Leading Role. Did you expect this and how has this affected you? Has anything changed in your life? We definitely didn't expect anything. This film was made by a bunch of people who were largely doing it for the first time. In that situation, you think ‘this is the first and last time I’ll ever make a movie, this is a disaster and they’ll run me out of the country.’ But now it’s done and I’ve have the craziest year of my life – I spent the entire year in planes and hotels and I’ve seen the world, which was amazing. But certainly the biggest change is that I know I get to go home and keep on making movies, and that was not the feeling we had when we were making the film, so that’s probably the most exciting thing. At yesterday’s workshop you mentioned that you were inspired in a way by Kusturica’s movie Underground. What do you and Emir have in common in your cinematic poetry? People ask me all the time about fantasy and reality and mixing them. The way that he does it is the way that I aspire to do it. I try to tell these stories that are folktales and myths yet ground them in reality; not tell fantastical tales from another planet but to tell them rooted in experience with real people. What I try to take from him the most, and the thing that really inspired me the most when I saw his films was that you see real joy happening on screen. It’s not signifiers of joy; it doesn’t feel like people are pretending, it feels like the experience is happening live and he’s capturing spontaneous moments that will never happen again – they can only happen because they’ve been created for the film. That energy, and the wildness that he manages to get on the screen is what made me want to do this, because that’s how I want to live. I want to live the way that I want and try to capture that, I think that he’s done that in his career and that is inspiring. This is your first time at Kustendorf. How has your experience here affected you? How do you like it and how does it compare to other festivals? This is the best film festival I’ve ever been to; it’s not even close to any other festival. A lot of times the impulse you get when you’re making films is that you want to create a new world, create something that doesn’t exist. Kusturica has done that not just in his films but there’s a place that exists that’s completely utopian. This is a place that celebrates film and music and has a kind of atmosphere that makes this feel like a better world than the one that we live in on a day-to-day basis. To be able to walk into that is incredible. My new goal in life is that someday I will be able to invite Emir to my compound in Louisiana that I created because this is exactly what I want to do with my life. workshop with Emir Kusturica Emir Kusturica’s student film Guernica from 1978 was shown on the third day of the festival as part of the Evergreen programme. After the screening, Kusturica held a workshop for the Damned Yard cinema that was overflowing with guests and visitors of the festival who came to hear what the “Professor,” as those close to him address him, had to say. Speaking about his student work, Kusturica emphasized that a good movie comes from a good idea and that young directors, regardless of how good their movies are formally, most often make mistakes when they equate the script, idea, and the filming itself: - Many young film makers are “stopped” and after their studies, they don’t manage to make a movie because they are under the illusion that writing and filming a movie is the same. Kusturica explained that filming a movie needs to contain a personal, hidden architecture and that all its rule actually have to do with the creative process and achieving your personal cinematic tongue. He also pointed out the difference between realism and reality, paraphrasing Dostoyevsky who said that realism is the most fantastic interpretation of reality. Among the most interesting student questions was about the manner in which this noted director manages to create a “good atmosphere” resembling a never-ending party, that makes his movies recognizable. - The way that I make a movie is the way that I live. My obsessions stand behind my films. If you can’t feel a film and its emotions you can’t expect others to feel them or for them to appear on the screen,” said Kusturica and added that the audience that watches his movies needs to be happy and shaken from reality in an instant. At the end of the workshop, Emir Kusturica said that he is sure that Kustendorf and other festivals similar to it will defend the dignity of film in its true blend of art and entertainment. Esteemed French actress Audrey Tautou, a special guest of Kustendorf Film and Music Festival 2013 arrived to Mecavnik in the afternoon hours of the third day. Cheerful and slightly confused by the abundance of journalists and guests that awaited her, Tautou expressed her delight at the unique atmosphere in which the festival is taking place: - I really didn’t know what to expect. This is my first time here and I am very excited about that. Thank you for the warm welcome. Audrey Tautou, who will be a guest of the festival in the coming days, gained world fame by portraying lead roles in multiple-award-winning French film Amelie (2001). She also starred in several other movies, most notably Coco Before Chanel (2009), Priceless (2006), The Da Vinci Code (2006), A Very Long Engagement (2004), Dirty Pretty Things (2003), He Loves Me... He Loves Me Not (2002), and Venus Beauty Institute (1999). Your arrival to Kustendorf attracted great attention, and last night’s performance, which opened the festival’s musical programme, left many speechless. What are your impressions of the festival? We are having a great time! It’s really beautiful. This is a magical place. It is completely unreal, even though it is now completely real. We couldn’t imagine that such a place exists. Now that we are here, we are forgetting that the other world exists. Thanks to being here, we had the chance to meet many wonderful people – both great artists and the whole organization that made this festival possible. People are so warm and wonderful and I am so happy I am so happy to be here and that people from this area came to the concert. Even though you are fairly young, there is a fascinating career behind you, many performances, awards and popularity. Where do you find the inspiration and what dreams in your life and career have been left unrealized? I seek inspiration in people, in nature, and in all beautiful things that will motivate my life to be even more beautiful. Even though our stay is short and has lasted only two days, it feels as though it’s lasted two years. So many things have happened and I received so much positive energy here. I am sure that this will inspire me for future concerts and travels and that I will retell my experience here to everyone. I think that even my family will admire me for it. As for dreams, of course there are always dreams. But I don’t like to talk about dreams, I like to tell dreams through my music and through art that I try to make. It seems as though you and your quintet The Devil’s Thrills reach listeners who do not follow classical music. Is the trick in your energy, your resemblance to a rock band on stage, or something else? It is really difficult for me to talk about the way I play, so I don’t know. It is best for people to come and see what it is that attracts them most – is it the energy, the music, the music that we play, just the music that the composers wrote, or something else. workshop with Benh Zeitlin Benh Zeitlin’s Beasts of the Southern Wild was screened as part of the Contemporary Trends programme at the 6th Kustendorf Film and Music Festival. Following the screening, director Zeitlin held a workshop for students – contestants in the competition programme – and guests of the festival. Thirty-year-old Zeitlin is one of the youngest directors participating in this part of the Contemporary Trends festival programme. The small generational gap between the students and the directors and the audience’s enthusiasm following the screening made this gathering a dynamic, frank, witty and valuable conversation. Above all, the students were interested in the circumstances that enabled this young and unsung director to find the demanding conditions for production necessary for shooting such a movie without giving up on his personal vision due to financial constraints. Zeitlin explained that his previous experience consisted of almost ten years of working in an independent group of filmmakers, Court 13, whose peak was a short film shot on water that had a big budget and child actors. Naturally, the next step was to work on a full-length feature. He set the start date for filming, deciding that he will shoot the movie with whatever budget he could get by that date and believing that “money follows determination, and not the other way around.” Zeitlin presented the scriptwriting and preparations for filming to the students as a reversible process with an open structure. He knew from the beginning that the script will adapt to the actors he chose and didn’t look for someone to fit the film’s requirements but for someone truly special. That special personal, that intrigued the workshop participants most, is six-year-old Quvenzhane Wallis who played the lead role in the movie. Speaking about the audition where there were almost five thousand kids, Zeitlin explained work with this child actress in great detail and the specifics of this directorial move, which can be summed up in one sentence: a new trick everyday. He said that ultimately, the success of his movie is mostly owed to the fact that he found a miracle child actress in the backwoods of Louisiana. The students then asked question about production design, location scout, and the relationships within the film crew. Zeitlin explained that the fact that they found a location that looked like a submerged city was what made him decide that the flood theme will be included in the script. Work in Court 13 is special because the team consists of people who are not professionals in the film industry but artists from different realms of creation. There is no digital animation in the movie, and the giant beasts from thr oniric film sequencies in the movie were actually trained and dressed up pot-bellied pigs. Benh Zeitlin named Underground as inspiration, adding that Emir Kusturica’s movie was what made him decide to get into directing and make a movie about a world that is disappearing. Cult Russian director Aleksey Balabanov – who gained his fame and popularity through films such as Brother (1997) and its action sequel, Brother 2, as well as War (2002), which deals with the conflict in Chechnya – arrived to Kustendorf late in the evening. His most recent film Me Too (2012) will be screened tomorrow, January 18, 2013, as part of the Contemporary Trends programme. As a special guest of Kustendorf, Aleksey Balabanov will hold a workshop after the movie. Recipient of the Golden Camera Award at the Cannes Film Festival in 2012 and the Grand Jury Prize at the Sundance Film Festival for his debut work Beasts of the Southern Wild, Benh Zeitlin arrived on the second day of Kustendorf in the afternoon hours. Tired, but clearly impressed with what he saw upon arrival at the festival, Zeitlin expressed gratitude for the welcome and greeted the gathered journalists, remarking: - I would like to say thank you for having the opportunity to be a guest at this festival. This is hospitality and generosity like I have never seen before. Beasts of the Southern Wild will be screened today as part of the Contemporary Trends programme and Benh Zeitlin will hold a workshop following the screening as a guest of Kustendorf. Apart from film screenings and workshops with noted directors, the exhibition Krzysztof Krieslowski Signs and Memory, organized by the Film Museum in Lodz, opened in the Drvengrad gallery, Kapor, on the second day of Kustendorf International Film and Music Festival. This multimedia, biographical, and retrospective exhibition is dedicated to remembering one of the most famous directors in Poland and the world, Krzysztof Kieslowski (1941-1996). Many documents including photos, press excerpts, posters, reviews, catalogs, numerous publications, diplomas and awards, as well as recently presented archival material with important statements by Kieslowski that portray him in the work process in films (such as The Scar, The Decalogue, and Three Colors), attending festivals and important meetings, were displayed at the exhibit. In the words of the organizers, this exhibition, which began in 2006 and has been to over 90 countries around the world, represents significant aspects of this esteemed film director’s life path. Fitting with Kustendorf’s uniqueness and free spirit, following the speech by the representative from the Film Museum in Lodz, a two-year-old boy spontaneously joined host Emir Kusturica and exclaimed, “It’s open! It’s open! Open!” which was met with laughter and a big applause from those gathered. Adding to this unusual development and announcing the exhibition open, Kusturica said that if Kieslowski were here, he would be the happiest man in the world, goin on to say: - Kieslowski is the biggest representative of Eastern European and European film and that those who try to imitate his work cannot do it because he is incredible and incomparable. I am happy that his exhibition is at Kustendorf. The exhibition Krzysztof Kieslowski Signs and Memory is open for visitors daily throughout the duration of the festival. workshop with Zhang Yimou On day two of Kustendorf 2013, Zhang Yimou’s 1999 film Not One Less, which was awarded with a Golden Lion at the Venice Film Festival, was shown as part of the Retrospective of Greatness programme. Following the screening, Mr. Yimou held a workshop in the full Damned Yard cinema for young film makers and guests of the festival. At the start of the workshop, the esteemed Chinese director spoke about the meaning of film and how important it is for young filmmakers to show positive human and life values, adding that film, as an art form, has to touch the human heart, giving him, as a director, a certain responsibility for the movies he makes and the messages he sends. When asked about the importance of film students and directors nurturing their heritage, Yimou answered: - As a Chinese film director, I need to hold on to anything Chinese even though I know that whatever is local belongs to the world. What you do needs to be fundamentally yours so that it can be appreciated by the world. When young filmmakers make their movies it is important that they find something that belongs to them, their tradition, and their culture. Responding to a question about the work process, the way of choosing stories to film, and the selection of actors, Mr. Yimou said that the basis of every good movie is a good story - a good script, which, as is the case in his work, often takes a year, sometimes even three to four years, to develop, adding: - The story needs to flow. In this stage of work, you don’t think about casting. That’s the next step, in which you begin to think about the type of actor that you need. This usually depends on the kind of story that you want to film and the budget – for personal stories, untrained actors are better, while trained actors would probably be chosen for high budget movies. The advantage of working with professional, A-List, actors is that they are trained and have experience. They save time because they don’t require a lot of guidance from the director. The disadvantage is that they are very expensive. Work with untrained actors is challenging though they are easier to mold. The drawback is that it is time consuming. You need to find a balance and make trade-offs. Yet, in the end, it all depends on what you want to do. In response to a question about which film directors influenced him and his work, Zhang Yimou explained that he cannot set apart anyone in particular, nor can he give a specific example, because every artform he has ever seen – literature, film, painting, and music – have influenced him in some way, and went on to say: - I don’t believe that there are natural born actors. We all absorb what we see and experience. You cannot create an absolutely original film or art work because, if you look closer, everything that is created today has existed in past in a different form. Clearly in the mood for conversation, Zhang Yimou answered numerous questions from the audience, spoke about his most recent work The Flowers of War (2011), which was shown following the opening ceremony of Kustendorf 2013 as part of the Contemporary Trends programme, about working with famed actor Christian Bale, about the symbolism of color in his films and future films. At the end of the workshop, the noted Chinese director once again thanked those students, journalists, and visitors present, who responded with a thunderous applause. KUSTENDORF 2013 IS OPEN ! In the afternoon hours of the first day of Kustendorf International Film and Music Festival 2013, Camera Buff (1979) by famed Polish director Krzysztof Kieslowski was screened as part of the Evergreen programme. As an introduction to the opening ceremony on the main square a spectacular 3D mapping projection was shown on the St. Sava Church in Drvengrad. The dancing lights and three dimensional images, colorful shapes, and effects created a kaleidoscope that attracted the attention of numerous visitors and guests of the festival despite the unfortunate weather. The long awaited hologram fight between the Kustendorf founder and director, Emir Kusturica, and the Hollywood star Bruce Willis was delayed due to the rain and the ceremony was continued, led by Dejan Petrovic and his Big Band, to the Damned Yard cinema. The special “screening” of the fight on the big screen, where Kusturica - like in an action movie - defends the city with his fists in the name of the values of auteur film from Bruce Willis, who slowly turns into a pile of popcorn throughout the battle and ultimately disappears, was received with an explosive applause. The official part of the grand opening ceremony began with an introductory address by the selector of the Competition Programme, Dunja Kusturica, who thanked the guests and visitors of the festival on behalf of the organizers: - `Cinema is an unhappy art as it depends on money’ said Andrei Tarkovsky. Through its five programs, Kustendorf Film and Music festival wants to show that the art of film doesn’t have to be so unhappy. I am delighted that Kustendorf has the honor to host film greats who are fighting to save art from the invasions of vulgar commerciality. We live in a time where it is easier than ever to make a movie, but that does not mean that movies today are better than they were. At the start of his address, Emir Kusturica welcomed the students, authors, guests, and audience of the festival, adding that it is wonderful to see so many people from around the world in one place and that an institution such as Kustendorf exists that will pay for airfare for students who make auteur films regardless of whether they come from Korea, America or any other distant place in the world. Stating that Kustendorf is unique because it is the only festival without a single advertisement that promotes real art and film, Kusturica declared: We are fighting for the reincarnation of films such as those that were made in the ‘70s and ‘80s, films that were the combination of art and entertainment. I am pleased that all the movies that were invited to the festival support that idea. The Minister of Culture and Media, Mr. Bratislav Petkovic expressed his admiration for what he has seen and his pleasure to have arrived at a festival that does not have a commercial nature, which makes it unique in the world. He went on to tell those present a story about a tape of the assassination of King Alexander that he played backwards for his grandmother, creating the illusion that the king is alive so that his grandmother would not cry, drawing on Voltaire: - If you take illusion from people’s lives, you would take away their whole life. Kustendorf is not an illusion and that is why it will exist for a long time and have a long life, with the all-around support from the government. Following the Minister's speech, a short homage to Zhang Yimou compiled from excerpts from his renowned films was shown on the big screen along with musical accompaniment from Nemanja Radulovic and his group The Devil's Thrills as well as members of Vrelo and the No Smoking Orchestra. Handing the Award for Future Films to the special guest of Kustendorf 2013, Emir Kusturica explained: - The opening of the Olympic Games in Beijing that was directed by our guest, Zhang Yimou represents the moment in which the 20th century became the 21st century. The honesty of his works gives me strength. He is a film maker in whose works esthetics and morality match each other. Clearly excited and moved by the homage and the thunderous applause of the audience, Mr. Yimou accepted the award expressing gratitude for the invitation to Kustendorf and the warm welcome commenting: - If I had known that his festival is so unique, I would have come much earlier. This is pure art. Thank you to everyone; I am honored to be here. Following the opening ceremony, Zhang Yimou’s most recent film, The Flowers of War, which depicts the massacre in Nanking and stars Christian Bale in the lead role, was screened as part of the Contemporary Trends Programme. Following the arrival of famed Chinese film director Zhang Yimou, noted Czech cinematographer Martin Šec, who is a jury member for the “Vilko Filač” Award for Best Cinematography, arrived to Mokra Gora. In the late afternoon hours, several other eminent guests arrived to Kustendorf including the Kustendorf 2013 jury members – Israeli writer and actress Alona Kimhi and Serbian media theorist and film and TV director Oleg Jeknic – and the Minister of Culture and Media of the Republic of Serbia Bratislav Petkovic. On the previous day, Kustendorf greeted many esteemed guests and students, whose films will compete for the festival awards – the Golden, Silver, and Bronze eggs. On the opening day of the sixth Kustendorf International Film and Music Festival, one of today’s most prominent film authors, Chinese director Zhang Yimou, arrived, for the first time, in Serbia and landed by helicopter on Mokra Gora in Drvengrad. Cheerful and full of smiles, Yimou thanked everyone for the welcome and greeted the numerous gathered journalists and guests who impatiently waited for him. In the days to come, Zhang Yimou’s multiple award winning films Not One Less (1999) and Raise the Red Lantern (1991) will be shown as part of the RETROSPECTIVE OF GREATNESS programme. His most recent movie, The Flowers of War (2011), starring Christian Bale in the lead role, will be shown as part of the Contemporary Trends programme. As a special guest of Kustendorf 2013 Zhang Yimou will hold workshops for participants and visitors of the festival after the screenings of his movies. World-renowned violinist Nemanja Radulovic and his quintet The Devil’s Thrills have arrived in Drvengrad to Kustendorf 2013 where his performance will open the Music Programme of this year’s festival. Radulovic’s fascinating musical biography includes an abundance of awards, performances with esteemed European, American, and Asian orchestras and soloists, as well as concerts across the world in the most distinguished concert halls. Even as a sixteen year old, Radulovic had performed over 600 concerts in Serbia and the world, justifying his title as one of the most talented violinists in Serbia, while the European Association of Artist Managers proclaimed him International Revelation of the Year in 2005. The ensemble, The Devil’s Thrills, arose from Nemanja Radulovic, the Illico quartet, and Boban Stosic’s desire to share their joy of living and music with the widest possible audiences, putting their popularity, stage performance, and appearance on par with the world’s biggest rock bands. Nemanja Radulovic & The Devil’s Thrills’ performance has generated great interest, which will send numerous fans on their way to Mecavnik for the performance of this young and successful artist. On the day before the opening of the 6th Kustendorf International Film and Music Festival, renowned American film producer Michael Hausman arrived in Serbia and landed by helicopter in Mokra Gora in Drvengrad. Michael Hausman started his career in the film industry in 1965 and has produced over forty movies as a film producer, production director, and assistant director. Long lasting creative collaboration and friendship with famed director Milos Forman led to the creation of numerous multiple award winning films including Taking Off (1979), Hair (1979), Ragtime (1981), Amadeus (1984), Valmont (1989), The People vs. Larry Flynt (1996), Man on the Moon (1999), and Goya’s Ghosts (2006). As an executive producer, Hausman worked on movies such as Sydney Pollack’s The Firm (1993), Martin Scorsese’s two-time Oscar-winning Gangs of New York (2002), Brokeback Mountain (2005), and Ang Lee’s Taking Woodstock (2009). As first assistant director, Hausman worked on Michel Gondry’s Eternal Sunshine of the Spotless Mind (2004), which was also awarded with an Oscar. In addition to his impressive film career, Hausman is an adjunct professor at Columbia University’s Graduate School of the Arts – Film School and is the Co-Chairman of Production Department at EICTV, National Film School in Cuba. At this year’s Kustendorf, as a member of the jury, Michael Hausman will decide on the best student films that will be competing for the festival awards – the Golden, Silver, and Bronze eggs. One of the special guests stars of the 6th Kustendorf International Film and Music Festival will be Audrey Tautou, a French film actress known to worldwide audiences as the title character in the award-winning French film The Fabulous Destiny of Amelie Poulain (Le Fabuleux Destin d'Amélie Poulain, 2001). In year 2000, she won CESAR award for Most Promising Actress for Vénus beauté institute. Audrey Tautou acted in numerous films, most notably, Coco Before Chanel (2009), Priceless (2006), The Da Vinci Code (2006), A Very Long Engagement (2004), Dirty Pretty Things (2003), He Loves Me, He Loves Me Not (2002), The Fabulous Destiny of Amelie Poulain (2001) and Vénus beauté institutе (1999). Due to a great interest in reporting from the 6th International Film and Music Festival Kustendorf, we have approved 70 accreditations for the international and local media. The following media houses will be reporting from this year's festival: MovieMaker (USA), The Huffington Post (USA), Variety (USA), Rolling Stone Magazine (USA), Moustique (Belgium), El Pais (Spain), Westdeutsche Allgemaine Zeitung – WAZ (Germany), La Jornada (Mexico), Morgenbladet (Norway), Xinhua News Agency (China), Eleftherotypia Daily (Greece), Yediot Aharanot (Israel), Saloona (Israel), Panorama (Italy), ANSA (Italy), CCTV (China), Channel One (Russia), CANAL + (France), TV5 (France), ORF TV (Austria), RTBF – National Belgium TV (Belgium), BTV Bulgarian National Television (Bulgaria), TV Nova (Croatia), RTV RS (Republic Srpska), Glas Srpske (Republic of Srpska), Al Jazeera; and Serbian media: Politika, Večernje novosti, Blic, TANJUG, RTS, RTV B92, Radio Beograd 2, Prva srpska TV, TV Kopernikus, Vreme. The special guest of the sixth Kustendorf International Film and Music Festival will be the renowned Italian actress Monica Bellucci. Following a successful modeling career, Bellucci starred in several movies including The Apartment – a French film made in 1996 – which was her first big acting success and brought her a nomination for the Cesar Award for Most Promising Actress. She gained world fame portraying the lead role in Giuseppe Tornatore’s Italian film Malena (2000). Monica Bellucci acted in numerous films most notably, Dobermann (1997), Brotherhood of the Wolf (2001), Asterix and Obelix Meet Cleopatra (2002), Irreversible (2002), The Matrix Reloaded (2003), The Matrix Revolutions (2003), The Passion of the Christ (2004), Sheitan (2006), Shoot ‘Em Up (2007), Don’t Look Back (2009), and The Whistleblower (2010). The first press conference of the upcoming edition of International Film and Music Festival Kustendorf 2013 will take place on Monday, December 17th, 2013 at 11 am at the Ministry of Culture and Media of Republic of Serbia. On this occasion, the following speakers will address the journalists: Bratislav Petković, Minister of Culture and Media and Emir Kusturica, our acclaimed film director and the founder of the Kustendorf Festival. International Film and Music Festival Kustendorf will take place from 16th to 22ndJanuary 2013 in Drvengrad in Mokra Gora, Serbia organized by “Rasta International” and under the patronage of the Ministry of Culture and Media of the Republic of Serbia. As in previous years, the Festival is dedicated to bringing together future filmmakers and already acclaimed authors. International Film and Music Festival Kustendorf will take place from 16th to 22ndJanuary 2013 in Drvengrad in Mokra Gora, Serbia organized by “Rasta International” and under the patronage of the Ministry of Culture and Media of the Republic of Serbia. As in previous years, the Festival is dedicated to future filmmakers and already acclaimed authors. COMPETITION PROGRAMME – Twenty-eight films from: Cuba, Denmark, France, Germany, Israel, Korea, Mexico, Montenegro, The Netherlands, Philippines, Peru, Poland, Portugal, Singapore, Serbia, Switzerland, UK and USA will compete for Golden, Silver and Bronze Egg Awards. The diversity of topics and film genres, together with the high quality of selected films, promise to bring an exciting competition full of suspense. International jury consists of the Israeli author and actress Alona Kimhi (President of the Jury), American film producer, production manager and assistant director Michael Hausman and Serbian media theorist, film and TV director prof. Oleg Jeknić, PhD. This year the “Vilko Filač” Award for Best Cinematography will be decided upon by the famous Czech cinematographer Martin Šec and Svetolik Mića Zajc, celebrated Serbian sound editor and designer. As in previous years, the Competition Programme selector is Dunja Kusturica. RETROSPECTIVE OF GREATNESS is a programme dedicated to Zhang Yimou, one of the most influential film authors of today who will, as one of the Festival’s guests, give workshops for students after the screenings of his films. As part of this programme, the following films of China’s director Zhang Yimou will be screened: Not One Less (1999) that won Venice Film Festival's Golden Lion, and Raise the Red Lantern (1991) that won Silver Lion award for Best Director at the 1991 Venice Film Festival and was nominated for an Academy Award for Best Foreign Language Film. CONTEMPORARY TRENDS programme presents some of the last year's most important films and their authors – the festival’s guests. They will give workshops after the projections of films. During seven days of Kustendorf, in this programme, the following films will be screened: Flowers of War by Zhang Yimou; Beasts of the Southern Wild by Benh Zeitlin that won the Caméra d'Or award at the 2012 Cannes Film Festival and the Grand Jury Prize: Dramatic at the 2012 Sundance Film Festival; Me Too by Aleksey Balabanov; Reality by Matteo Garrone, the winner of the Grand Prix at the Cannes Film Festival in 2012; Araf – Somewhere in Between by Yeşim Ustaoğlu. Film 7 Days in Havana will be presented by Palestinian film director Elia Suleiman, one of seven famous world directors gathered together to work on this project. The EVERGREEN programme will remind us of some of the most significant films of the past, such as the Time Stands Still (1982) by Péter Gothár, who will, as a special festival guest, give a lecture after the projection. Within this programme, we will have opportunity to present movies of one of the most influential Polish authors Krzysztof Kieślowski–– Camera Buff (1979) and A Short Film About Killing (1988). Furthermore, a short students movie Guernica from 1978, directed by Emir Kusturica, will be screened. NEW AUTHORS – is the programme that presents debut feature-length films by new promising talents slowly conquering the film world using new and original film language. We will have the opportunity to watch this-year Venice Film Festival's Critics' Week discovery, She Doesn't Want to Sleep Alone by the young Mexican director Natalia Beristain; Notafootball film by a young Russian artist Konstantin Smirnov; It's simple by Sonia Karpunina - winner of the Golden Egg award at the International Film and Music Festival Kustendorf in 2011, and documentary 31st HAUL by talented Russian film-maker Denis Klebleev. MUSIC PROGRAM – Every night, after the screenings and workshops, the concerts of the international music stars will complete the atmosphere of Kustendorf nightlife. This year on Kustendorf we present: Nemanja Radulović & Devil's Trills (France / Serbia), Debout Sur Le Zink (France), Dejan Petrović Big Band (Serbia), Trio Balkan Strings (Serbia), Radio Zastava (Italy) and Che Sudaka (Spain). THE EXHIBITIONS - International Film and Music Festival Kustendorf 2013 in collaboration with The Film Museum in Łódź will present the exhibition KRZYSZTOF KIEŚLOWSKI SIGNS AND MEMORY arranged to commemorate one of the most famous Polish directors, Krzysztof Kieślowski (1941-1996). This multimedia, biographical and retrospective exhibition will be open every day during the festival at the Drvengrad Gallery “Mazzola”. Second exhibition - FOLK COSTUMES FROM KOSOVO AND METOHIJA, organized by Sava Dečanac Cultural Center and the Kopaonik Cultural Artistic Society from Leposavić in collaboration with Kustendorf Festival will be open to visitors daily throughout the duration of the festival at the reception of the Mećavnik hotel in Drvengrad, Mokra Gora. International Film and Music Festival Kustendorf 2013 will welcome all participating film authors and actors, as well as numerous young film students, authors, and many distinguished guests from the international film world. The press accreditation applications for the International Küstendorf Film and Music Festival start on December 10th, 2012. All journalists interested in covering the festival can apply by filling out the form located on the festival website www.kustendorf-filmandmusicfestival.org, press section. The deadline for applications is December 30th, 2012 and all media companies whose accreditation is granted will be informed after January 5th, 2013. The 6th International Küstendorf Film and Music Festival is organized by Rasta International and will take place from January 16 - 22, 2013 in Drvengrad, Mokra Gora, Serbia. Festival is under the patronage of the Ministry of Culture and Media of the Republic of Serbia.